Now, I actually did not use a stencil for any of these three floorcloths, but I sure have used stencils for many past floorcloths. Of course, I just cannot locate those photos at the moment! The hopscotch floorcloth pictured above is from Kathy Cooper’s book: The Complete Book of Floorcloths. Kathy also has a wealth of information on her website about floorcloths in general. When I was doing a little research on the Internet about floorcloths, I came upon a wonderful website for Gracewood Design. Gwenith Grace Jones and Kenneth Wood Forcier have been creating some incredible floorcloths for decades. 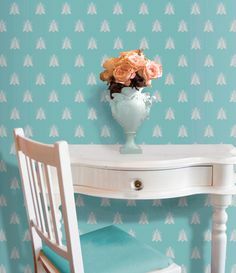 Gracewood Design uses many authentic stencils from the Early American period (1740-1840) for their Early American Floorcloth Collection, as well as their own stencils designs for their other floorcloth lines. An extensive gallery of floorcloths can be viewed on the Gracewood Design website and is well worth the visit! I’ve always wondered about floorcloths and never attempted one. I love that design you included…soooo pretty. I think I’ll pick up the book and check it out. Thank you! Thanks for including me on your blog. I love making floorcloths and living with them. I have been selling them for thirty years and I would just say that you have to keep at it to get results. I teach lots of workshops both at craft schools and in my studio. We always cover marketing as part of the workshop. If anyone is interested just look at my website for information. Thanks!